Officially known as the Commonwealth of Virginia, Virginia is defined by notable geographic features including the Blue Ridge Mountains and the Chesapeake Bay. 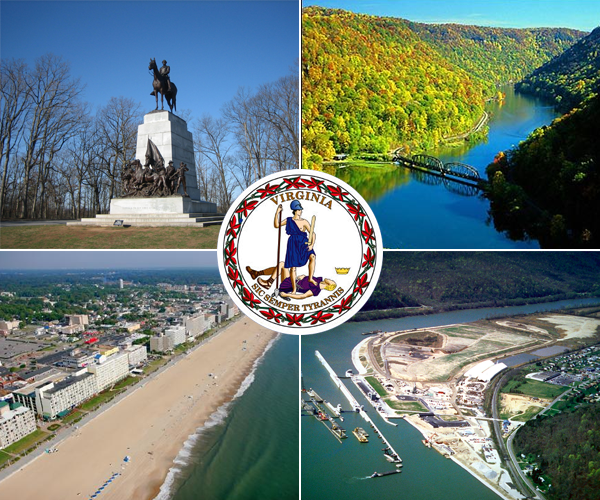 Virginia has a key role in American history, serving as one of the 13 original colonies. Fairfax County is the most populous area of Virginia, and is known as being the home of Tysons Corner, a hub of business and shopping. The economy of Virginia is diverse, and includes the military, the local and federal government and a number of businesses. The state is known as having the highest level of defense spending of any state, per capita. The veteran population of Virginia is estimated to be just over 837,000. For veterans and servicemembers planning to purchase a home in Virginia using their VA home loan benefit, a Net Tangible Benefit Worksheet and termite inspection are required. If you’re a resident of Virginia, and you need help selling your home, contact 888-573-4496, or complete the form below. Click here, if you don’t have enough equity to sell. VA Home Loan Centers offers assistance to “upside down” homeowners at no out of pocket cost. Veterans and servicemembers may be able to reuse their VA loan benefit again to purchase a home.